You’re entering today’s job market, but you’re not sure of the skills you need to find success in the current job market. While it’s impossible to list every skill based on your career, there are 7 skills that most employers will look for in potential job candidates. Computers are a part of everyday life, and you need to know how to use them. The requirements will change based on your position. A graphic designer would need to know Adobe Photoshop and Illustrator, while a secretary would need to know Microsoft Word and Excel. 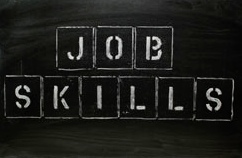 Communication skills are invaluable even in today’s job market. You need to be able to communicate clearly with employers and especially during your interview. Solving problems is not something everyone can do. If you are a problem-solver, you are an asset for a company. You need to think outside of what you learned in books and start figuring out problems on your own. If you can demonstrate that you’ve helped past employers solve vital problems in the workforce, you’ll be an irreplaceable candidate for the job. Collaboration is very important in today’s fast-paced world. You need to be able to work in teams and get the job done. If you’re a team player, you’ll do everything in your power to get the job done, and that is what employers look for in employees. Being adaptable is a very important part of business. When you’re able to adapt to any circumstance that comes you way, companies will be able to rely upon you. This is a skill that is hard to learn, but one that is highly sought. Projects come in and you have to pick up the phone while sending out a time-sensitive email and accepting a new task that has an immediate deadline. It’s tough to be a part of today’s workforce, and those that are good with time management and multitasking will always have an advantage. Businesses like free promotion and being able to stay in the loop with their employees. One way to do this is through social media. While this may not be a skill, employers are turning to social media to check in on potential job candidates. Employers don’t want to see employees behaving inappropriately and posting photos online – it’s bad for business. Instead, social media can be used as a tool to land a job by showing you are responsible and professional. Are you a recent graduate, looking for work, or looking to make a career change? Contact Employment Solutions to discuss labor employment in Denver CO today by calling (877) 880-4473.